It says quite a lot about Jeremy Johnson Johnson that the strangest thing about him isn't even the fact his mother and father both had the same last name. Jeremy once admitted he's able to hear voices, and the townspeople of Never Better have treated him like an outsider since. After his mother left, his father became a recluse, and it's been up to Jeremy to support the family. But it hasn't been up to Jeremy alone. The truth is, Jeremy can hear voices. Or, specifically, one voice: the voice of the ghost of Jacob Grimm, one half of the infamous writing duo, The Brothers Grimm. Jacob watches over Jeremy, protecting him from an unknown dark evil whispered about in the space between this world and the next. But when the provocative local girl Ginger Boultinghouse takes an interest in Jeremy (and his unique abilities), a grim chain of events is put into motion. And as anyone familiar with the Grimm Brothers know, not all fairy tales have happy endings. Far Far Away is a wonderfully lyrical book with a nod to the the original traditions of Fairy Tales as told by the Brothers Grimm. I was completely fascinated by Far Far Away. The story slowly unfolded, layer by layer, giving hints and clues about the mystery throughout, but never gave anything completely away. I think anyone who has a love and appreciation for Fairy Tales will enjoy Far Far Away. It's about some of the very basics morals you'd find in a fairy tale: young adults coming of age, the true meaning of friendship and family, good vs. evil, eternal hope, and the bonds of love. I believe that adults will appreciate the depth and quality of this story and young adults will love the elements of mystery and horror in it. I found the book Far Far Away utterly enchanting. The Setting: The story takes place in a small home town of Never Better and revolves around the mystery of the Finder of Occasions. What follows is a wonderful mystery set into motion by the ghost of Jacob Grimm, Jeremy, and his friend Ginger. What was nice about the setting of Never Better was it felt like your typical small home town. You felt like it could be your own home town, and the town's people could in fact be your neighbors. The Characters: One of the best elements of Far Far Away is the exceptional characterization. 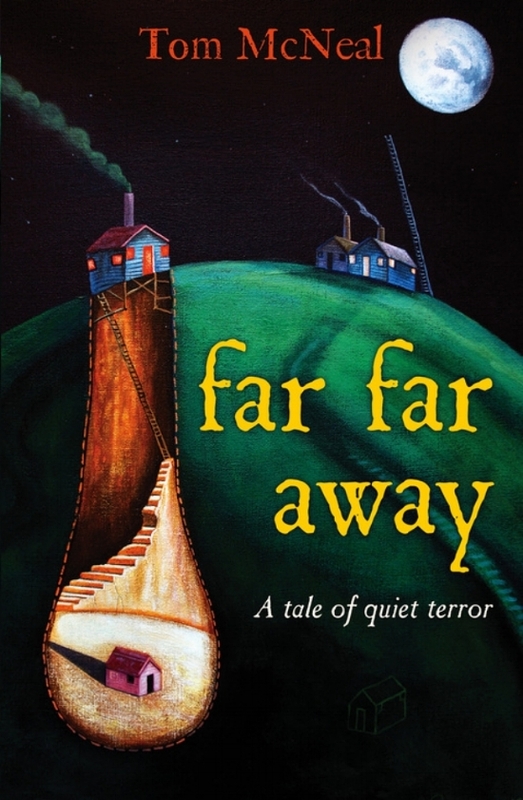 Although there's really three main characters in the story, there are many other supporting characters that also have an important part in the book, giving Far Far Away a lot of depth and feel to it. It was easy to connect with almost all the characters in the story. Jacob Grimm is not only a ghost in Far Far Away, but also the narrator of the story which gives us, the readers, a real behind the scenes feel which I really enjoyed. His involvement and compassion in the story was amazing, and will be hard to forget. Jeremy has these endearing qualities about him that gently work their way into your heart. He's had a few hard knocks along the way, and his determination and hopefulness will win you over. I thought Ginger's character was adorable. I really enjoyed her infectious and daring personality. The Romance: Crush. There is a sweet kiss between two friends who are becoming slightly more. But what's really is important in the story of Far Far Away is the developing friendship between Jeremy and Ginger and the mystery of the Finder of Occasions. What I Liked: The great characterization. Far Far Away's characters were pretty amazing. What I would have like or thought could have been better: Although I thought the book was amazing, I felt some of the pacing was a little slow towards the middle of the book, and seemed to drag a bit before it got to the amazing ending. The Ending: The ending was Great! I will tell you that my heart was beating fast due to the suspense Jeremy, Jacob and Ginger were going through. I thought I knew the answer to the mystery, but I was tricked! Like any fine Fairy Tale, all was wrapped up neatly and I was left both happy and satisfied.